Sometimes dents can be removed without the need for repainting the vehicle. Small dents, such as door dings or dents caused by hail, can often be fixed through a process called paintless dent repair. We use special tools to massage out the dents while preserving your vehicle’s original paint and finish. Stop by for a free estimate and to see if paintless dent repair is right for your vehicle. No appointment is needed for an estimate! 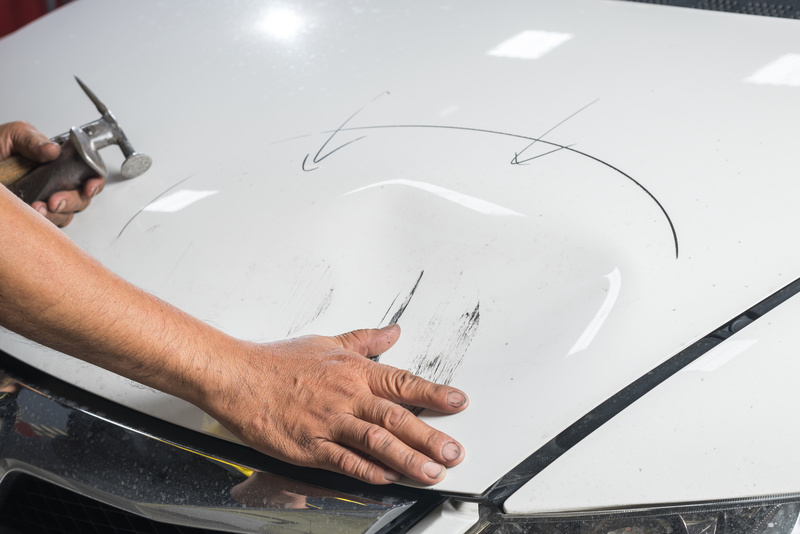 For larger scratches and dents, the damaged part of your vehicle may need repainting. At Midwest Collision Center, we offer professional paint matching services so that your car will look like new again–and even you won’t be able to tell where the damage was. Paint matching is a difficult process because a vehicle’s original paint job will fade in the sun over time. Any additional paint that is added will need to be adjusted to match the exact current shade of the vehicle. The professionals at Midwest Collision Center have both the tools and the skills to match your vehicle’s paint perfectly. Visit our shop today for a free estimate on our paint matching services–you don’t even need an appointment!